Call a Consumer Credit Counselling counsellor to help you through the steps to consolidate debt and become Debt Free today! The following are the various options available to pay off your debt sooner. Your first step when looking at consolidating your debt is to contact your bank/credit union to apply for a loan consolidation. If your Credit Rating and Credit Score are good your bank will lend you money up front to pay off all your debt immediately which you would then repay one monthly payment to them until the loan is paid off in full. Interest rates vary depending on how good your Credit is. You may find that the bank is not able to approve you if you have any missed payments or any debt in collections and even if you are only making minimum payments as your credit score can be low due to this. Making payments on time doesn’t always mean you have the best credit if your debt to income ratio is high. A Line of Credit is a loan from a bank/credit union which funds can be withdrawn at any time up to a certain amount. While interest rates can be quite low on a Line of Credit, they are normally set up as interest only so these type of products tend to last a long time or never be paid off. The interest also starts accruing the day you use the funds so there is no grace period like with a Credit Card. You have to have the discipline to make extra payments in excess of the interest amounts to pay a line of credit off. Overdrafts are an extension of your bank account. Once you reach $0.00 you can continue to take out money to a certain amount set by your bank. These interest rates can be quite high in addition to an Overdraft fee charged by most banks as well. The next option through your bank is to look at using any equity you have in your home to obtain a home equity loan or a 2nd Mortgage. To calculate your home equity, take the value of what your home is worth and subtract what you owe and this figure is your equity. You can borrow a portion of this amount and repay it back exactly like a loan or as a line of credit. A caution to 2nd Mortgages, the interest rates can be quite high so you would want to be careful with this to not pay more money out in the long run. Here is where Consumer Credit Counselling can help! If your bank/credit union are not able to help consolidate your debt then a Debt Management Plan would be the next best option which we can provide for you. A Debt Management plan will pay off your unsecured debt in full in less than 5 years with your Creditors reducing or eliminating your interest to 0%. All you have to worry about is one payment, and we will disburse this single payment to your Creditors each month until your debts are fully paid off. Your total monthly payment will be less than the minimum payments you are paying now, freeing up extra cash in your account and helping you save more than ever before. 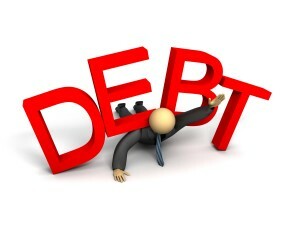 We will help you rebuild your credit and become debt free as quickly as your budget allows. We will go through a Budget in detail with you to see if you qualify, and assess your situation to ensure your payments will be completely affordable for you to live comfortably. With a Debt Reduction Plan, this option is not paying in full your debt and will cut your unsecured debt by up to 70%. This plan is the next option if you are not able to afford the Debt Management Plan. It will help you avoid bankruptcy and retain your personal assets including your home and vehicle, while helping you reduce your debt. This plan will stop any legal collection activity against you including a wage garnishment and you will have up to 5 years to pay off the plan. Debt reduction is better than bankruptcy as you do not have to submit a monthly budget and your payment will be fixed so if your income increases or if you get a tax return, it is not required to be sent to the Creditors. Personal Bankruptcy is your last option when none of the above options fit for you in your monthly budget and you are declared insolvent. This option can only be done through a Bankruptcy Trustee and will show as the lowest credit rating on your Credit Bureau. 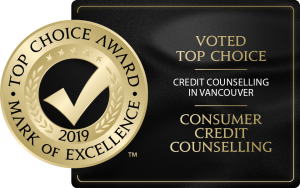 Give our office a call to speak with one of our experienced Debt Counsellors – 604-435-7800 or toll-free at 1-800-565-4595 .